I’ve taken the plunge and signed up. Yes, I’m now on Pinterest. I’ve been using it for a bit and it’s nice. I just don’t know how long I’ll be able to devote to it. When you factor in a full time job, the duties of being a husband and father, freelance work, and my own blog, it’s a wonder that I have time to tweet occasionally. But Twitter, Instagram, and now Pinterest? I’m not sure I’ll be able to keep up. I’ve already all-but-abandoned Google+. 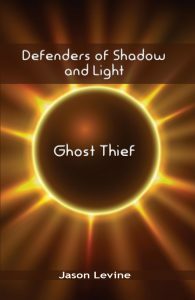 It was really interesting and I still like it, but I just didn’t have the time. 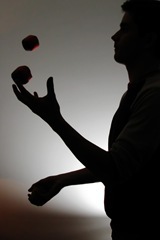 I can only juggle so many before one or more begin to drop. 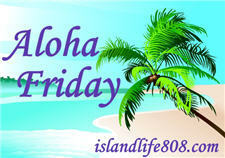 My Aloha Friday question for today is: How many social networks are you part of? How much time do you spend on social media? Disclaimer: The juggling photo is by Pedro Moura Pinheiro and was published on Flickr under a Creative Commons license. More than 6, however, I only update 2 on a daily basis. There are just too many and feel I don’t have the time to keep them all active. A few, but I only visit 2-3 on a daily basis. And Pinterest is SO ADDICTING!! 3 or 4…Twitter gets the most of my time, followed by Pinterest. I can’t even tell you. There are way too many out there. The worst part is remembering all of the sign in info. Harriet recently posted..What would others say about you? I’m on a lot of them but the only ones that I use regularly are Facebook, Twitter, and Pinterest.